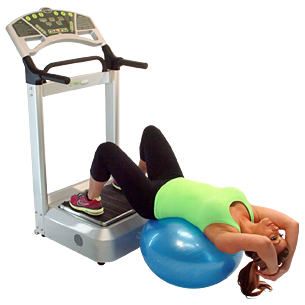 Place the fitness ball in front of the machine then sit on the ball facing the machine. Place your feet flat on the plate shoulder width apart. Bend backwards on the ball using your arms to keep your balance. This exercise stretches your abdomen and relaxes your low back.